An IPO or Initial Public Offering is when a private company offers parts of its profits to investors in the form of shares. Companies choose to go public when they require capital for its operation. Businesses require capital for various reasons such as expanding, diversifying the business or to repay loans etc. Going public is one of the most conducive ways to get those funds. The company gets listed on the stock exchange so that you as an investor can buy or sell the shares. It is a matter of utmost pride for any business, as they gain more credibility when they go public. Here we give you some tips and reasons as to why you should invest in an IPO. To invest in an IPO in India you need to have a PAN card which should be issued by the Income Tax Department and also a demat account. You should be ready to enter into a legal contract with the company offering the shares. This is a minimum Eligibility Criteria for IPO Investment. If you are planning to sell the shares in the future, then you would require a trading account too. Hence open a trading account with a demat account when applying for an IPO for the first time. IPOs help you get access to unlisted stocks. These stocks have a very high earning potential. Before the offering, bankers and issuers sit together to fix a price of the IPO. This is an attempt to attract as many funds as possible. When you buy the shares of a company during its IPO stage, this proves to be a smart choice when in the future the company progresses and the prices of the shares increase in the secondary market. This is the right time to buy shares from Public Sector Undertakings. Securities Exchange Board of India or SEBI has come up with new improvements in recent years. One such reform is the higher quota and lower price for retail investors as compared to institutional investors. Such benefits are not possible in secondary markets. SEBI has also tightened its grip on companies offering IPO in terms of transparency and disclosure. This makes it more trustworthy for prospective investors to invest in IPO. The information provided by IPOs is standard for all its investors. Whereas in the secondary market, not every investor will be updated with the market analysis. An investor’s account is debited only after the allotment of shares. This way the funds are safe and also do not lose any interest. Hence if you are a small time investor, this is an economical choice for you. How Can You Apply for an IPO? Companies offer IPO in either of these two variants. A Fixed Price IPO is an IPO in which the company fixes the price. The is done in advance and the price is the sum of the par value and the premium. When it is book built IPO, the company offers an indicative range of what the price will be when they go public through the book building process. You can apply for IPOs through two methods which are online and offline. When you bid offline you have to fill up a form and then submit it to your broker or to the bank. In the online application, all you have to do is log into the trading interface which is provided to you by the broker. If you choose to apply for a Book built IPO, then the allotment is finalized within a range of 10-12 days. Your demat account is credit within a few days after the allotment. You can only sell the shares through a trading account when the stock gets listed on the exchanges. ASBA or Application Supported by Blocked Accounts is a facility provided by SEBI. Under this facility, you can apply for an IPO by blocking the amount in your account. You do not have to pay the amount until the allotment is done. For E.g. ; if you have applied for the share which is worth ₹ 2 Lakhs and you have got an allotment for shares worth only ₹ 1 Lakh, then only ₹ 1 Lakh get debited from your account and the block from the rest of the amount is removed. 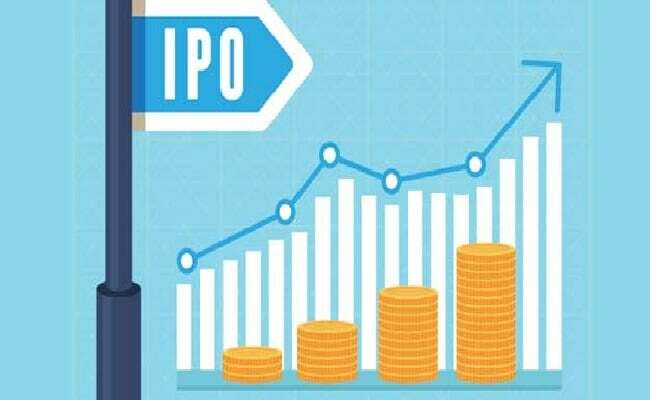 Investing in IPO is an arena which many investors are now taking an interest in. With SEBI advancing this investment area day by day, it is becoming more and more reliable for investors to choose an IPO.